Houses are ca. 7 cm. Green christmas-cotton-jersey with cute christmas-cats. Christmas jersey in dusty navy with christmas-stockings etc..
Cotton-jersey with small christmas images. Light blue jule-cotton-jersey with snow-balls. Dark green cotton-jersey with cones. 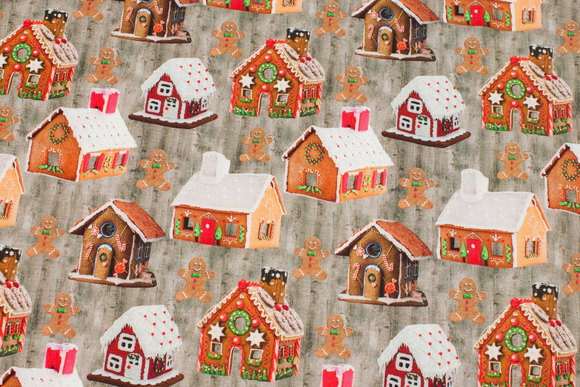 Jule cotton-jersey with snowmen and santas. Gifts and christmas-dogs on jersey.